Right now we’re at the height of the summer wedding season, and Casino Knights couldn’t be busier. We’re helping couples create unique receptions for their guests, which is a growing trend across the nation. 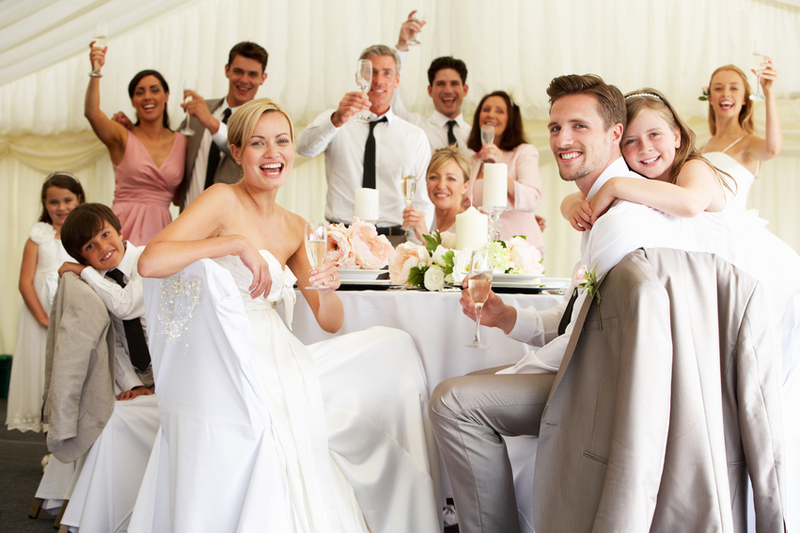 The Knot’s annual wedding survey reveals how brides and grooms are planning the event, how much they’re spending and what matters most on the big day. Their 2015 wedding survey found that wedding spending hit an all-time high last year, with reception spending seeing some of the biggest increases. Couples are putting a lot of thought into making the reception personal, and because of that, themed weddings are on the rise. The bride and groom are also spending more per guest to keep them entertained; in 2015 the average spent was $237 per guest, up from $194 in 2009. The Knot experts also noted that spending on "custom guest entertainment" has tripled over the last six years. After investing so much time and money to create an event to remember, the last thing you want is for guests to get bored. Adding games to the reception is a surefire way to create a fun and inviting atmosphere as well as add that unique aspect to your wedding. One of the worst fears for many couples is that the wedding reception will have lulls between events like the cake cutting and bouquet throwing. The solution in the past has been to have a DJ or band fill the void, but not everyone wants to dance the entire night. Setting up games for wedding guests to play give people another entertainment option – one that won’t get them winded. The trick is to have an assortment of games that people of all skill levels can play. At Casino Knights we offer a variety of casino games from slot machines to craps, that appeal to practically everyone. Our professional dealers will also be there to explain rules for any games guests have never tried before. Who says a wedding reception has to be serious? The ceremony is a sacred thing, but the reception is time to cut loose and celebrate. Even if you have music, there are a lot of people who are dance floor shy. They’ll spend the majority of the night at their tables, maybe joining their date for a slow song or two. There’s also the issue of music selection, which could be fun for one generation and totally off base for another. Casino games, carnival games and video games can get guests of all ages and generations out of their seats and interacting. You won’t have to worry about people leaving early – but it might be hard to get people to leave! One of the things we love most about casino games is they are fantastic ice breakers that get people chatting. You’ll quickly find yourself cheering on a perfect stranger as if you were personally invested in their dice turning up sevens. Everyone celebrates together when a person’s number hits on the roulette table. And poker games may be quiet during a call, but in between hands everyone is talking. During weddings where the two families don’t really know each other, games can help bring everyone together. Instead of sitting at tables with people they already know, everyone is mixing it up and having fun. The glitz, glamour and gaming of Las Vegas have made it one of the top destinations for weddings. Instead of traveling all the way to Nevada, Casino Knights can bring Las Vegas to Central Texas. We provide everything you need from professional dealers right down to the chips. When you work with us your guests are guaranteed to be entertained without having to spend a dollar!